The favor tags include pre-punched holes and come with string to attach to your favors. Is it possible to print a tag with custom lettering but no image? I just need a plain pink tag with words on it. All possible available options and combinations are provided in the Preview Tool and you will be shown a proof before placing the order. I hope you find one that will work! 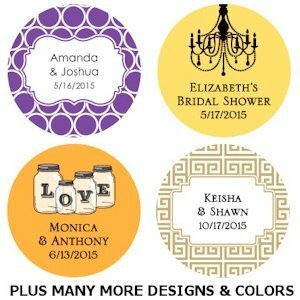 Can I put a custom picture or logo on a round label? 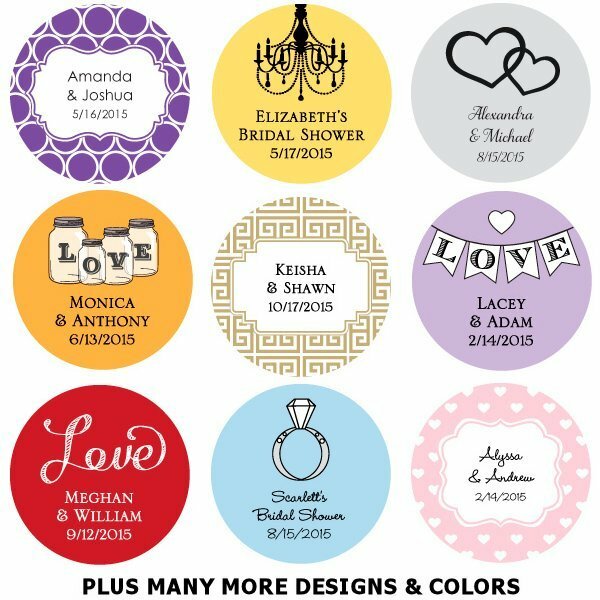 I'm sorry, the Personalized Round Wedding Favor Tags (Set of 36) are only available in the templates on our site; we cannot accept outside artwork/logos for them.